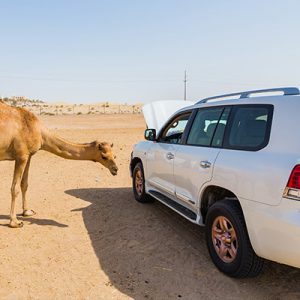 What do a camel and an automotive supplier have in common? One is a mammal that is native to many countries in Asia and the Middle East, a traditional and faithful mode of transport and food. The other is a massive concentration of the latest data technologies and heavy industry that combine to mass produce vehicles in a highly complex global supply chain. You may think there’s nothing at all in common, and yet both can be brought down by that proverbial straw! You’re either a Q1 or No One! The major global OEMs have a ratings system designed to identify the best suppliers and to compel these to perform at their absolute highest levels. The system is set up on a scale of 0 – 100 and are affected not just by ASN delivery or EDI. The OEMs want to make sure a supplier is financially viable, not just smoke and mirrors! They will review various areas of the supplier’s operations, including finances, management, quality controls and that a business is operating in a sustainable way. OEMs want to make absolutely certain that all policies and procedures are in place to prevent any quality issues and that if a problem arises, that everything is in place to resolve and contain it as fast as possible. 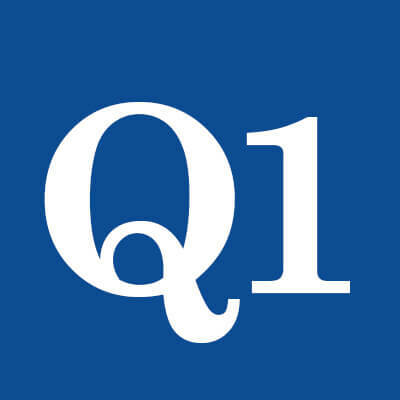 In the case of Ford, if a company meets all their qualifications they receive the coveted Q1 status – which means they are a Ford preferred vendor. Suppliers are naturally very proud to have a Q1 flag prominently waving outside their plant. What happens when your company gets that ratings’ hit measured in points? A ding or downgrade may lead to a full audit, including an OEM visit to a supplier’s plant. In dollar terms, a deduction can cost anywhere from $250 to $500 dollars per point. For example, a supplier sending six shipments a day, five days a week has a very high volume, and may only face a three-point deduction for a certain event causing a ding. But a supplier shipping only once a month could face a 50-point deduction for a similar event! Generally, late ASN delivery mostly affects North American operations including Mexico, but it is creeping up in Europe as well especially for Ford and Volkswagen. “Plants are doing everything they can to ensure they build and deliver a product on time, and that there are no quality issues. But they may get a ratings hit because of a late ASN for something that’s completely out of their control,” he continued. The ramifications can be huge, and suppliers typically don’t find out about getting “dinged” until the ratings review comes out at the end of the month. “If you are dinged at the second of the month you don’t find out about it until your Quality Manager sees it and screams, ‘What happened’?” he stated. The severity of the downgrade can vary and be more severe depending on the car company. As one source explained, “Chrysler will hit you for every part number. If you send them one ASN with four-part numbers that will lead to four late ASNs!” So, depending on the OEM and depending on how badly a supplier is performing, if a plant is getting dinged every month their upper management will start to get notifications from Ford or Chrysler or they may get a visit and involve the president of your company and ultimately remove your Q1 status! This means that if Honda wants a new valve that you can produce for under one hundred dollars per unit, you cannot bid for the business if you have lost your Q1 status. How are your Supplier Ratings? The impact of a ratings ding can be very serious to your company’s bottom line. Can you afford another drop in your ratings? 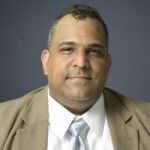 Are you losing or at risk of losing thousands of dollars in new business? How to make sure ASNs go out the gate exactly when they are due? A prerequisite for avoiding a late ASN is a reliable IT solution which automates your supply chain process. SEEBURGER can help. We are a global leader in automotive supply chain integration solutions with over 3500 major automotive clients, including top Tier 1 and Tier 2 OEM suppliers. SEEBURGER offers a range of industry proven tools that provide the agility, flexibility, security and transparency you need to compete in an ever evolving and challenging automotive digital world.